"…you're not British; cheering on our collapse from foreign shores, pointing and laughing like some latter-day Haw Haw. Sick." Yesterday wasn’t a good day for all Blades, but there was great news for Sheffield United and their fans last night as it was confirmed that midfielder David Brooks – “one of the hottest properties outside the top-flight” – has signed a new contract, keeping him at the club until at least 2021 (or at least securing us a HUGE amount of money, should anyone else want to buy him in the intervening period). Filthy. Rumour has it that Jack Hunt required counselling after this particular brief encounter. I know that a lot of my readers don’t care much for South Yorkshire football posts, but I spare you from them a lot of the time (And…). Also, you know that thanks to the eclectic nature of this blog, you’re likely to have something completely different and altogether more interesting next time you visit. I’m not about to leave Sheffield without some mementos of last weekend’s events. A quick visit to Beautiful Downtown Bramall Lane sorted that out. I got a mug as well. My nerves are shot. I’ve been put through the mill. Shaky. Emotionally drained. And thus, I find myself in Sheffield at the time of the Steel City Derby. 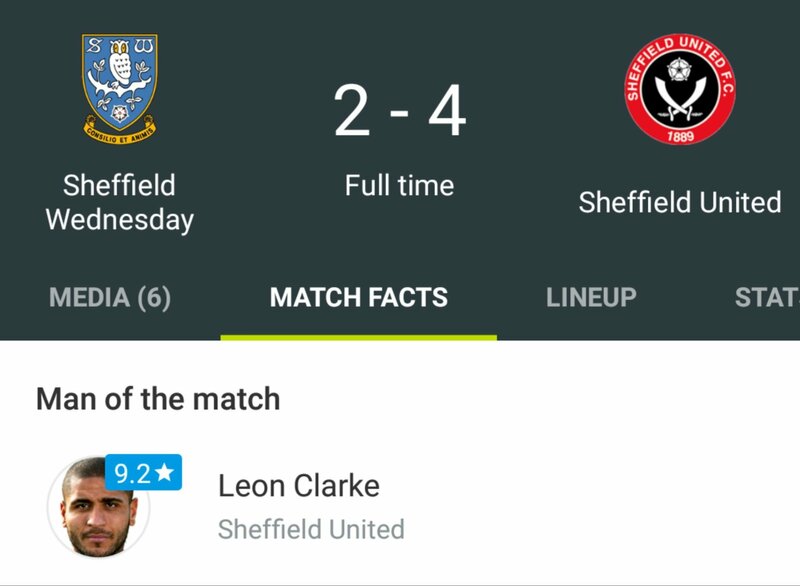 This, in case you were unaware, is the name given to any football match between The Mighty Sheffield United and our porcine neighbours Sheffield Wednesday. It’s been a while since the last one, because the teams have been in different divisions in the football league. However, with United’s promotion last time out, the derby is back on, and it’s big news. And yes, it’s great for the city, but I can’t help but feel that the media frenzy around this particular episode has gone a bit over the top. As media frenzy is wont to do. Obviously – obviously – I want United to win. But as time has gone on, I have to admit that the results of these sort of big games have become less important to me. I’m old enough to have seen many Steel City Derbies. I’ve seen us win some, I’ve seen us lose some, and – and hold onto your seats here, folks – I’ve seen some draws as well. Incredible. And yet – no matter the scoreline in these games – football, life, friendships (even with those from the other lot), and the constant threat of nuclear apocalypse all continue. It’s just that when it’s over, there will still also be other things that matter. 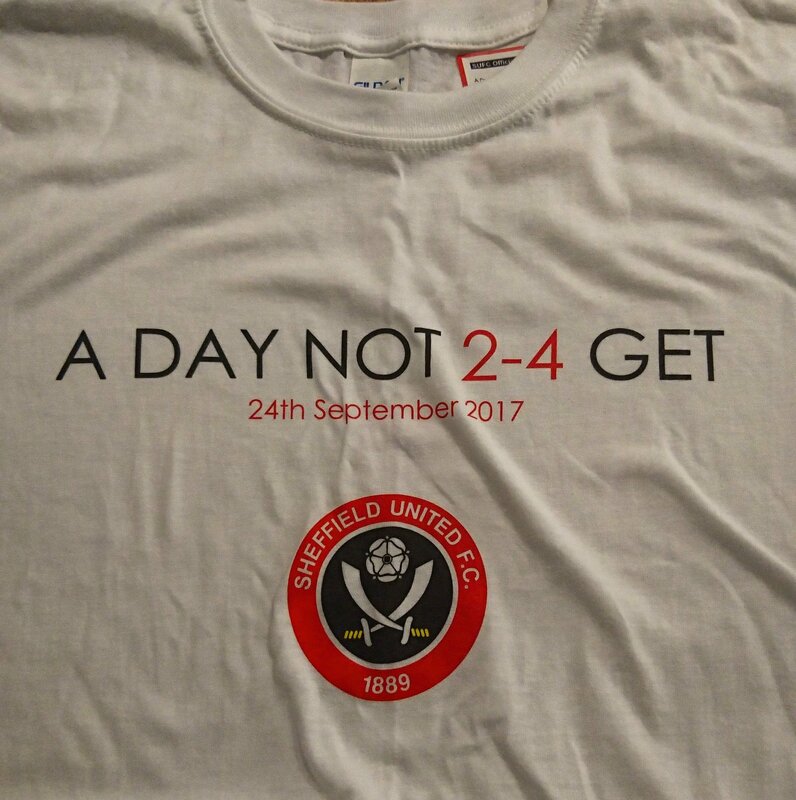 Whatever the result, I will still support Sheffield United. Other (weird, misguided) individuals will still support the other team. Workplace banter, which has peaked in the run-up to the game, will slowly decline again. Life will continue. And then in January, we’ll do it all over again (but I’ll be back in Cape Town for that one). Oh Christ – we beat the pigs! Such were the unusual circumstances in which I found myself over the weekend and such were the demands of Sky TV for a Friday evening kick off that I’ve just had a “oh christ, I’ve left the iron on!” moment. I can’t believe I didn’t blog about this earlier, but I see no harm in blogging about it now. Not that there’s much to blog about. Thrilling game. We won, they didn’t. Which is all as it should be. Author 6000Posted on September 21, 2009 Categories positive thoughts, sheffield, sportTags sheffield united, steel city derby5 Comments on Oh Christ – we beat the pigs!